Home » Blog » Are awards events better than personal incentives in the workplace? Recognising achievements through awards ceremonies is key to celebrating success for a lot of companies, whereas others feel personal incentives might drive their employees further in the work place. A topic for debate I am sure. 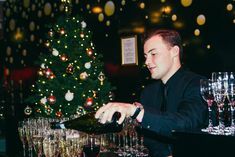 This week, we interviewed Event agency ‘Eventspiration‘ to find out why rewarding success should be a bigger deal than an envelope of vouchers landing on your desk. Why should companies host awards events? What is important to your client’s when planning an awards event to recognise the achievements of their staff? ‘The venue should be exciting, to demonstrate that thought and care has been put into the event. Madame Tussauds – Given that this is full of celebrity stars this fits perfectly into the theme of being a “Star for the night”. It is such a fun and exciting venue it really captures the spirit of an awards ceremony. Staff can have their photo taken with their favourite celebrity, who wouldn’t want their photo next to an Olympic champion?! What has been the most successful awards event Eventspiration has organised? We created a 1920’s themed awards ceremony for Pret A Manger, which was held at Kent House in prestigious Knightsbridge. The location and setting was grand and created a sense of arrival. We had a 1920’s car parked outside by a red carpet so staff could have their photo taken in the car in their teams. 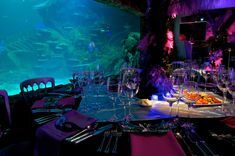 By creating a theme it immediately provided a sense of occasion and the staff went all out to get dressed up. Tells us your opinion, do you feel it is important to recognise the success of your employee’s in front of their peers or do personal incentives work better?